“The artist submits from day to day to the fatal rhythm of the impulses of the universal world which encloses him, continual centre of sensations, always pliant, hypnotized by the marvels of nature which he loves, he scrutinizes. His eyes, like his soul, are in perpetual communion with the most fortuitous of phenomena,” wrote French Symbolist painter, printmaker and pastelist Odilon Redon. While Redon may have encapsulated it in an especially poetic way, this sentiment is one that’s been shared by generations of artists who’ve drawn inspiration from the natural world. Here’s a closer look at the age-old link between nature and art, along with one particularly sublime destination for artists looking to find some inspiration of their own. Dating all the way back to the days of cave paintings, humankind has found inspiration -- and materials, in the form of everything from earth pigments to charcoal -- in the world around them. As art has evolved, so has the relationship between artists and the natural world. In the 17th century, for example, Baroque artists developed a new interest in nature, including the emergence of landscape painting, in response to global exploration and a new sense of both human insignificance and the unsuspected complexity and vastness of nature. Later, impressionists like Sisley, Monet and Manet were known for embracing the allures of en plein air, including its ability to capture and convey “nature’s mutability.” Meanwhile, Post-Impressionist French painter Paul Cezanne, speaking of what nature meant to him and his work, said, “Painting from nature is not copying the object; it is realizing one's sensations." Cezanne’s Mont Sainte-Victoire joins Monet’s Water Lilies, Van Gogh’s Irises, and Georgia O’Keeffe’s Red Hills and White Flower II are among the huge number of famous artworks inspired by nature. Indeed, it is not just artists enamored by the power of nature; some of the world’s greatest thinkers, including Aristotle and Einstein, have also paid testament to nature’s majesty and art’s inherent connection to it. And while technology may have transformed the world since these artists were producing their extraordinary work, nature continues to exert its influence on artists today. Consider Sotheby’s Museum Network’s roundup of “10 Earth Artists to Know” which looks at how contemporary artists continue to celebrate and connect with our planet. From Robert Smithson’s seminal earthwork sculpture Spiral Jetty to Agnes Denes’ remarkable environmental installations of Wheatfields, the impact of nature on art has endured. These pieces may be breathtakingly different in scope -- from abstraction to photorealism -- but nature is the bond which unites them. The takeaway for today’s aspiring artists? Your own inspiration may be waiting in the great outdoors! Of course, some settings are more inspiring than others. This is where Burren College of Art comes in. It is located on the Wild Atlantic Way on the northwest coast of County Clare, Ireland, in the remote Burren region, famous for its extraordinary natural beauty and remarkable ecosystem. It’s for this reason that generations of artists, including everyone from poet-dramatist W.B. Yeats to Irish-Australian painter Sir Sidney Nolan, have flocked to the Burren to find inspiration in its spectacular beauty. Ready to join them? Burren College of Art’s Undergraduate Individual Study Abroad program offers art students the chance to step off the beaten path -- and away from the mainstream art school experience -- and into an environment like no other, on a campus built around a 16th century castle tower; an environment that’s uniquely suited to spurring creativity and the development of exciting new perspectives. Students are encouraged to get involved in the local community, meet people in the welcoming neighbouring villages and engage in cultural activities, for example the area's vibrant music scene. 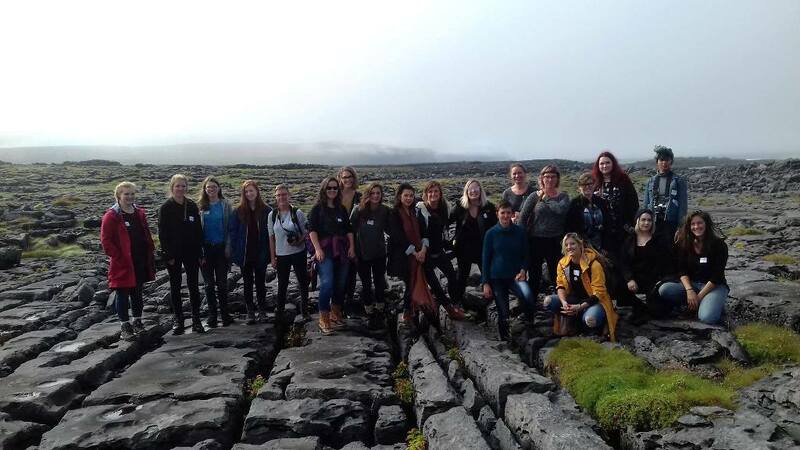 To give just one example of the college's community connections, last year's Global Ecologies Studio Summer School coincided with a heat wave in Ireland and caused a short drought in the Burren, while the summer school students were doing a course on water systems. Several students made work inspired by this issue and one student created a personal water filtration system which was both visually striking and effective in filtering water. Inspired? 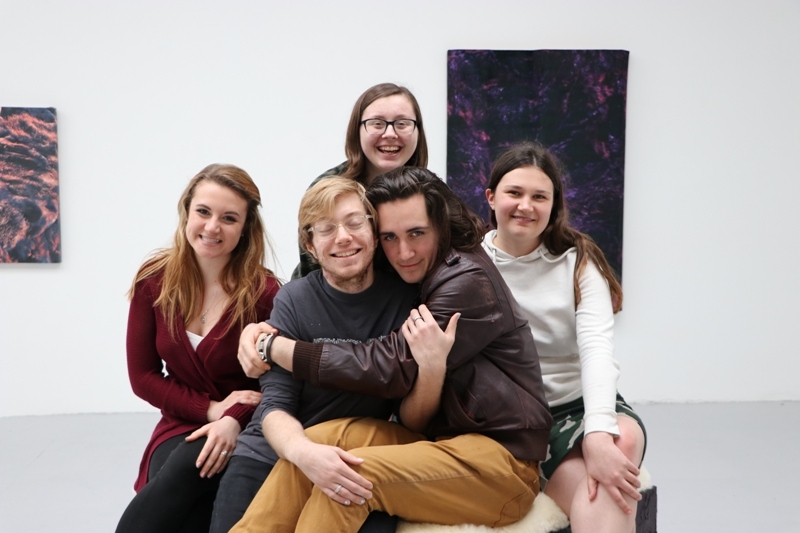 Then apply for the Burren College of Art’s Fall Semester now!